page 8 -- E.M. Rose, Wesp Lautz Bros. & Co. (Niagara Starch), Household Sewing Machine Co.
E.M. Rose issued a lot of trade cards (for sale on eBay and Amazon as of 2015) and probably sold a good deal of merchandise. However, I need your help uncovering further information. Please comment below or email me. Thanks! 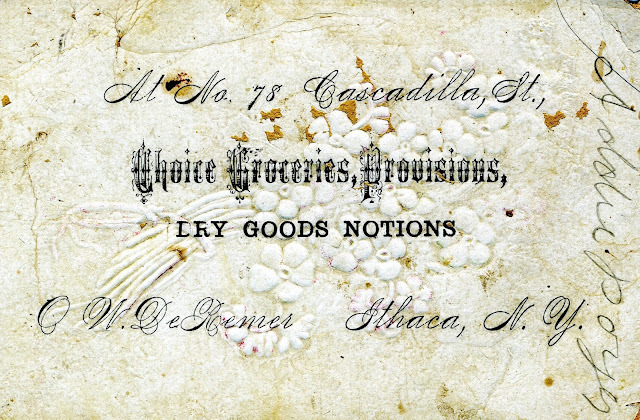 The only record of the possible original owner of this card, Addie Poyer, indicates that she may have lived at 228 Hazen St., Ithaca NY, the boarding house of Mary L. Ready. She was employed as a domestic an appeared on a list of typhoid patients in 1903 compiled by David DeKok. Although 78 Cascadilla St. was demolished, this is an example of nearby commercial architecture typical of the period. Flood control projects (not to mention floods) have changed this neighborhood intersection a great deal since the late 1800s. Photo derived from Google Street View. 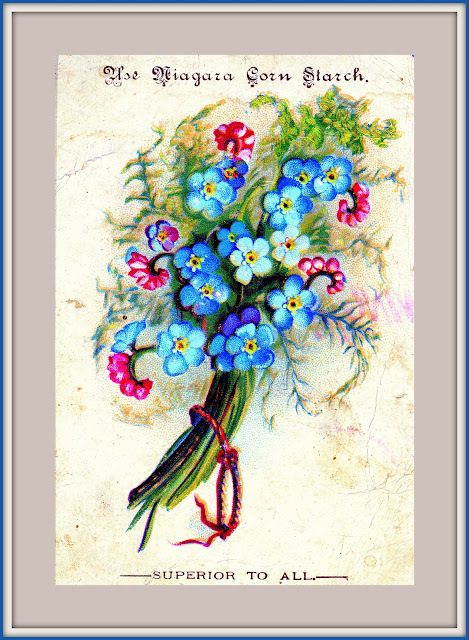 See page 69 of the Earl J. Arnold Advertising Card Collection for more cards and information on Wesp, Lautz Bros. & Co. Page 67 of the Earl J. Arnold Advertising Card Collection presents a great deal of information on the Household Sewing Machine and its manufacturer, the Providence Tool Company. Buffalo NY E.M. Rose Hartford CT Household Sewing Machine Co. Niagara Starch Providence RI Wesp Lautz Bros. & Co.
Labels: Buffalo NY E.M. Rose Hartford CT Household Sewing Machine Co. Niagara Starch Providence RI Wesp Lautz Bros. & Co.